Comments: This one-eyed mercenary from Cairo, known only as the Monkey Man, sold his services to the Germans by spying on Indiana Jones and Marion. With the help of his crafty pet, the Monkey Man aids the Germans in their initial capture of Marion. 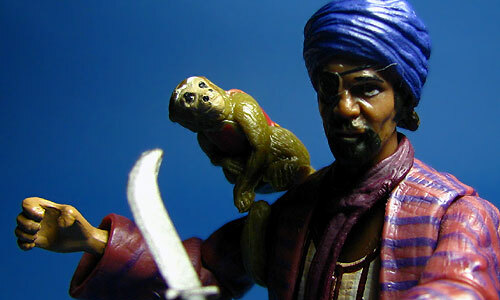 He later attempts to poison Indy with a batch of deadly dates, succeeding only in murdering his own pet monkey.